Other Notes: Berliner Weisse with Lime. Only real fruit inside! 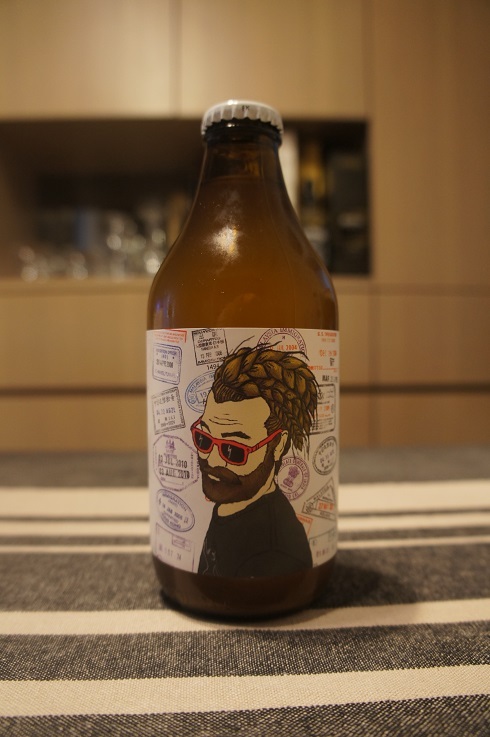 Brewer Description: (from bottle) When our dear beloved friends from Cycle – St. Pete, Murcia – stepped into our brewery for the first time, we knew that this relationship would turn into magical and wonderful beers in a heartbeat. 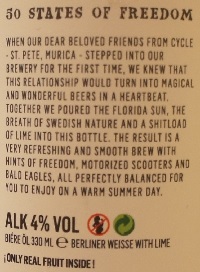 Together we poured the Florida sun, the breath of Swedish nature and a shitload of lime into this bottle. The result is a very refreshing and smooth brew with hints of freedom, motorized scooters and bald eagles, all perfectly balanced for you to enjoy on a warm summer day. Intro: A 330ml bottle with a best before date of 24th April 2019, ‘B7 lunch’. Poured into a Lost Abbey teku glass. Appearance: A hazy golden straw yellow colour with a just over two finger white head that dissipated fairly quickly and left some sparse lacing. 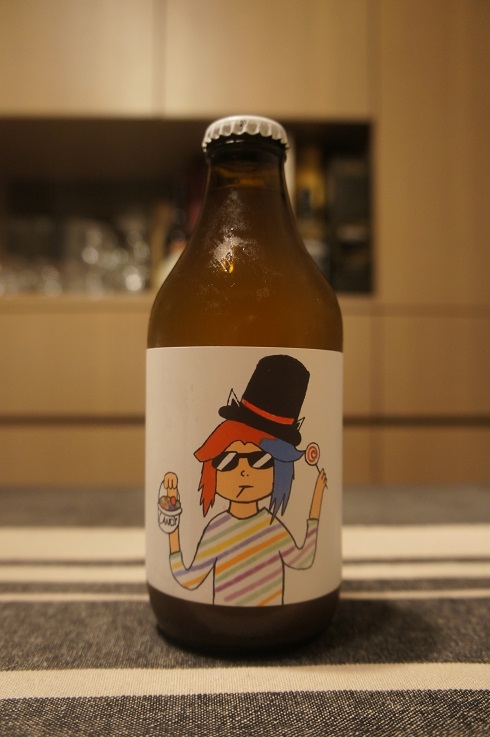 Aroma: Tart, fruity sour candy, passionfruit and lime. Taste: Sour and tart, tangy, lime with hints of mixed berries. Mouthfeel: Crisp, light bodied with high prickly carbonation. Overall: Carbonation was maybe a little bit too high, but other than that, this was refreshing and enjoyable. Other Notes: Double India Pale Ale. Only real fruit inside! Brewer Description: (from bottle) Charming and cute as they are, the capabilities and intelligence of “emotional” robots are still very limited. They don’t have feelings and are simply programmed to detect emotions and respond accordingly. But things are set to change very rapidly and they just learned how to give robot hugs. 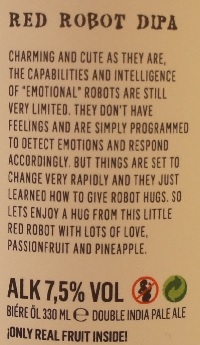 So lets enjoy a hug from this little red robot with lots of love, passionfruit and pineapple. 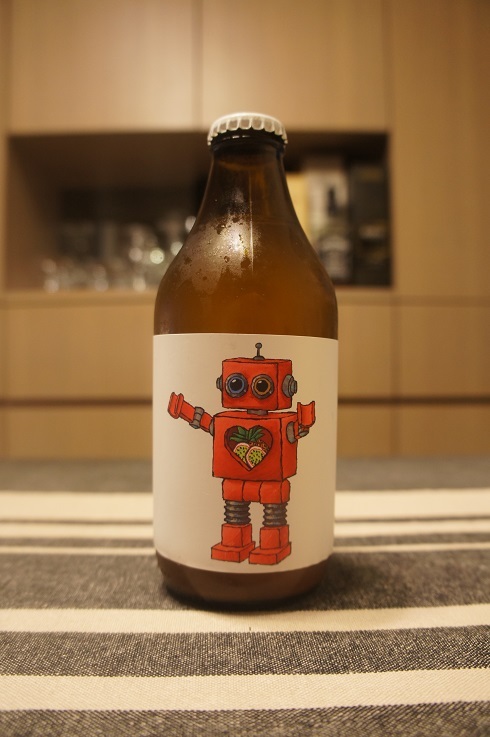 Intro: A 330ml bottle with a best before date of 16th May 2019, ‘B6 robotbin’. Poured into a Lost Abbey teku glass. Appearance: A hazy yellow orange colour with a one finger white head that had decent retention and left some lacing. Aroma: Pineapple, melon, mango and pine with hints of orange rind and zest. 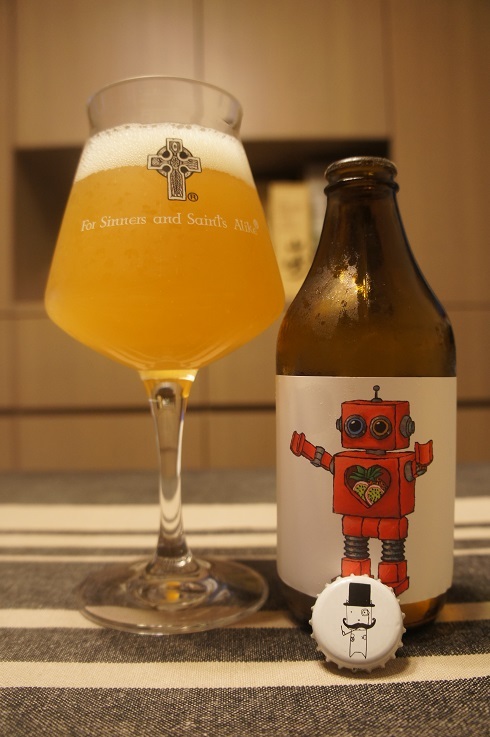 Taste: Grapefruit and underripe fresh orange juice with touches of mango and pine resin. Overall: This was quite good, but I didn’t really get any of the passionfruit or pineapple that was supposedly there in the taste. There was a lot more citrus that the expected tropical fruits. 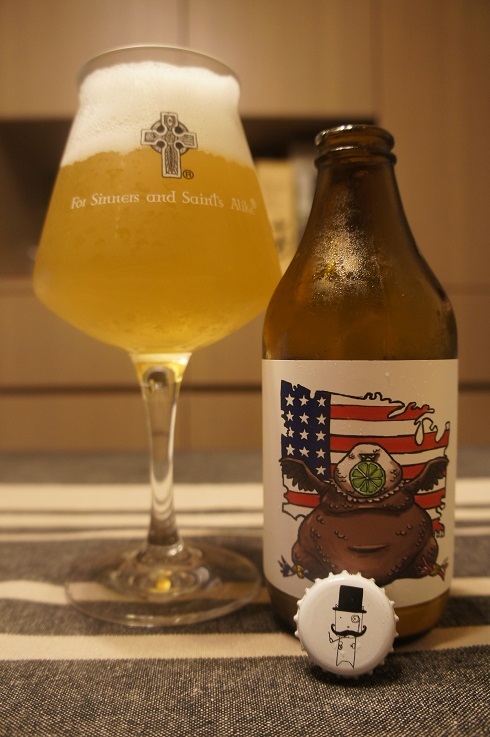 Other Notes: American Pale Ale. Keep it real, no additives inside! Brewer Description: (from bottle) “Forgot to hype batch number two for everyone who can’t get it. I don’t mean that in a mean way. Everyone’s support is what keeps me going in the cold dark world I live in now though (don’t get me wrong, it’s great here) thanks everyone. 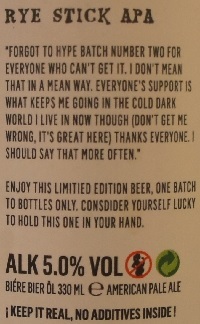 I should say that more often.” Enjoy this limited edition beer, one batch to bottles only. Consider yourself lucky to hold this one in your hand. Intro: A 330ml bottle with a best before date of 12th June 2019, ‘B2 dirty shame’. Poured into a Lost Abbey teku glass. Appearance: A hazy dark straw yellow colour with a two finger white head that had great retention and left some sticky lacing. Aroma: Lemon zest, lemon rind and grapefruit with a hint of pineapple. Taste: Orange rind and pith, lemon, grapefruit with hints of dank hops and pineapple. Mouthfeel: Crisp, light to medium bodied with moderate to high carbonation. Overall: Not bad but nothing special either. Carbonation was on the verge of being a little too high. 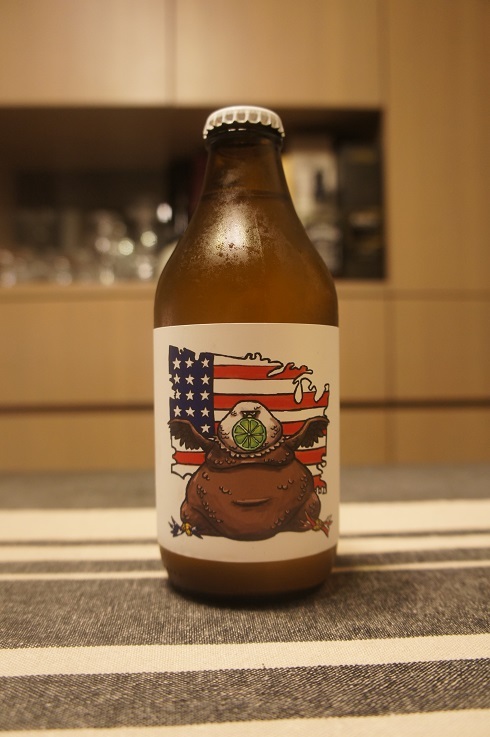 Other Notes: American Pale Ale. Only real fruit inside! Intro: A 330ml bottle with a best before date of 7th May 2019, ‘B11 brewskv’. Poured into a Lost Abbey teku glass. 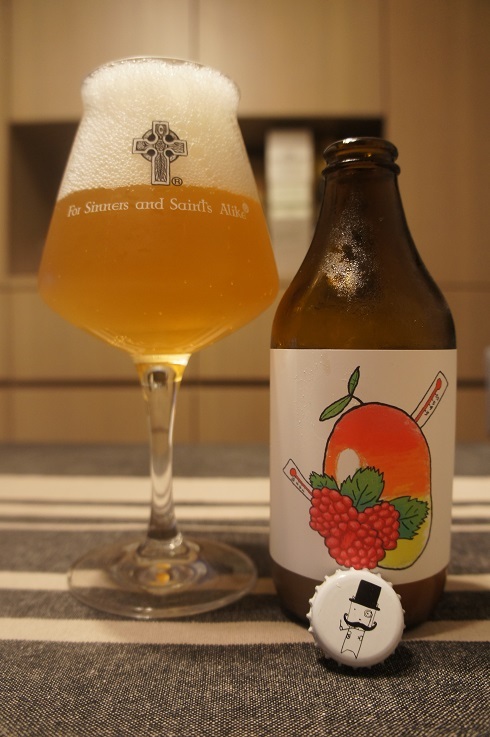 Appearance: A hazy dark orange (dark mango juice) colour with a big but delicate three finger white head that dissipated quickly while leaving only some sparse lacing. 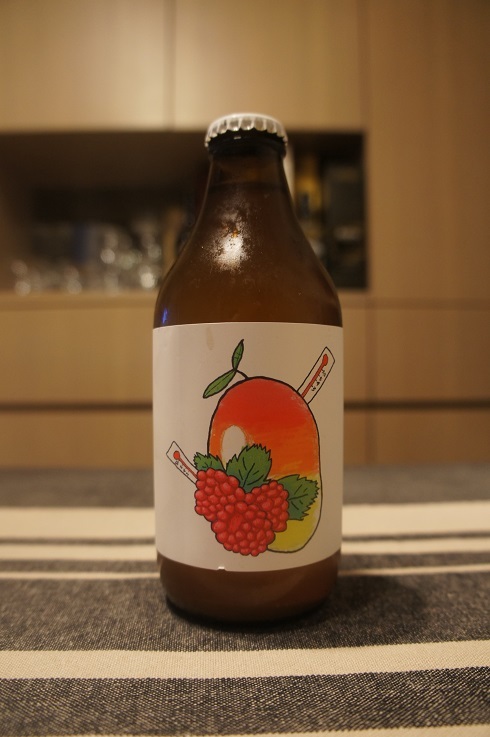 Aroma: Fruity with raspberry first, followed by mango with hints of citrus zest. Taste: Lightly sweet and lightly bitter. Slightly unripe mango, grapefruit rind and zest and hints of grass. Mouthfeel: Light to medium bodied with lively moderate to high carbonation. Overall: This was ok, but carbonation was probably a bit high. 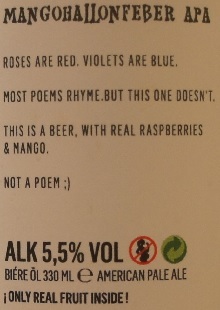 In addition, while I got raspberry in the aroma, I unfortunately pretty much didn’t get any in the taste. Other Notes: Berliner Weisse Passionfruit. Only real fruit inside! 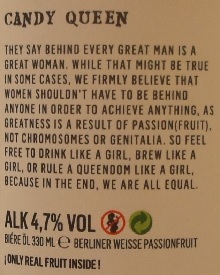 Brewer Description: (from bottle) They say behind every great man is a great woman. While that might be true in some cases, we firmly believe that women shouldn’t have to be behind anyone in order to achieve anything, as greatness is a result of passion(fruit), not chromosomes or genitalia. So feel free to drink like a girl, brew like a girl, or rule a queendom like a girl, because in the end, we are all equal. Intro: A 330ml bottle with a best before date of 14th May 2019, ‘B4 vm’. Poured into a Lost Abbey teku glass. Appearance: A hazy darkish orange colour with a just over one finger white head that dissipated and fizzed away loudly and quickly, while leaving no lacing. Aroma: Strong tropical juice with lots of passionfruit, overripe mango and peach. 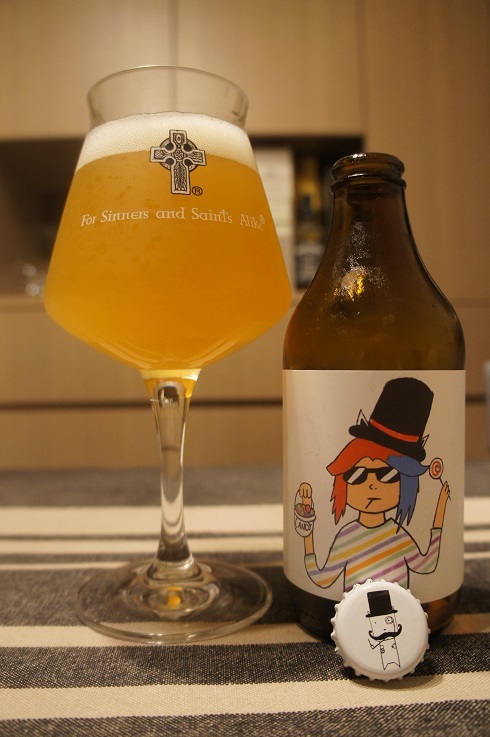 Taste: Tart, light to moderate sour, passionfruit, mango and lemon with some light wheat. Mouthfeel: Light bodied with high carbonation. 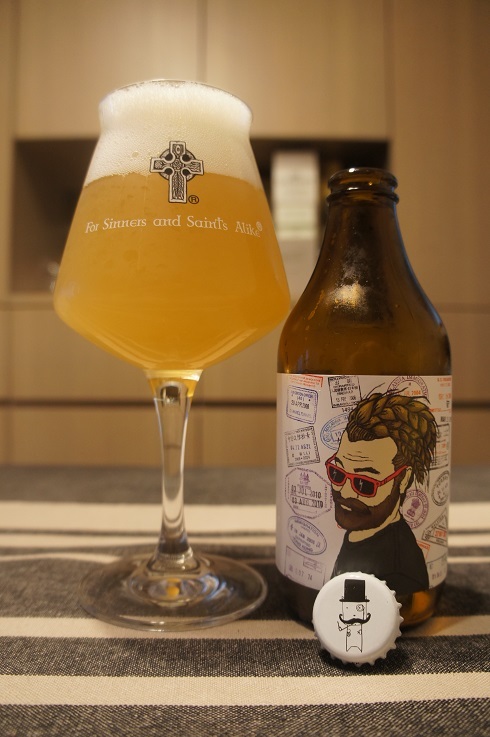 Overall: Nice, tart and refreshing tropical flavours, especially passionfruit. Enjoyable and very easy to drink.